Formed in 2005 in Sydney, Australia, but now based out of New York City, three-piece art punk band The Death Set already has more than a handful of albums and EPs under their belt. 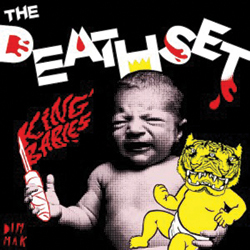 King Babies is a four-track collection, and is the latest of the group’s releases. King Babies grabs your attention with the extremely high energy opening track “Lite the Fuse”, and never lets you go. “Think Shank” keeps the energy up in an aggressively punk track. “Soar Away” slows down – but just barely – to fuse hip-hop elements with their distinctly punk style, something the band is known for. Finally, the album closes with “The Enemy”, a more electronic fusion than “Soar Away” and the perfect ending to the collection. The milestone 500th release for label Dim Mak, King Babies does not disappoint with its ultimately unique spin on the classic punk genre. French-Canadian singer-songwriter Coeur de pirate, a.k.a. Béatrice Martin, doesn’t often release music in English—but when she does, it’s very, very good. 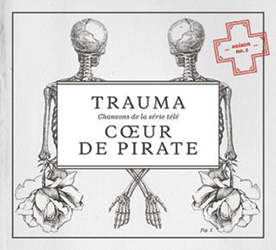 Trauma is the third Coeur de pirate album, and it’s also the fifth-season soundtrack to a Quebec TV drama of the same name. It’s also different from Martin’s previous work considering Trauma is sung entirely in English, and is made up entirely of acoustic covers. But by the second or third listen, you’ll start to forget that the songs are not originals. The album opens with Martin’s brooding take on Bill Withers’ “Ain’t No Sunshine” and closes with a cover of Bon Iver’s “Flume”. The range of content in between seems endless, but it’s all characterized by the signature softness of Martin’s voice. You definitely don’t want to miss this album. 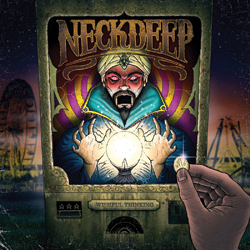 A relatively new group, Neck Deep is a five-piece UK pop-punk group that came together in 2012. With two EPs already released, Wishful Thinking marks the group’s first full-length studio album. Opening with “Losing Teeth”, a track about hanging on to youth, this album hits all of the topics a good pop-punk album should. There’s unrequited love in “Growing Pains”, heartache in “Crushing Grief (No Remedy)”, and what pop-punk album would be complete without a track about how hard it is to be a teen? We find that teenage agony in “Blank Pages”. With the classic pop-punk feel, Wishful Thinking is chock-full of that upbeat tempo and angsty feel reminiscent of the Blink 182 and Sum 41 glory days. However, each track feels much like the last, leaving the album feeling rather repetitive as a whole.